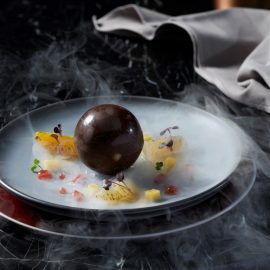 Hyatt Regency Bangkok Sukhumvit presents the opening of their new restaurant, Market Café, that represents a melting pot of Thai and Western design and culture. 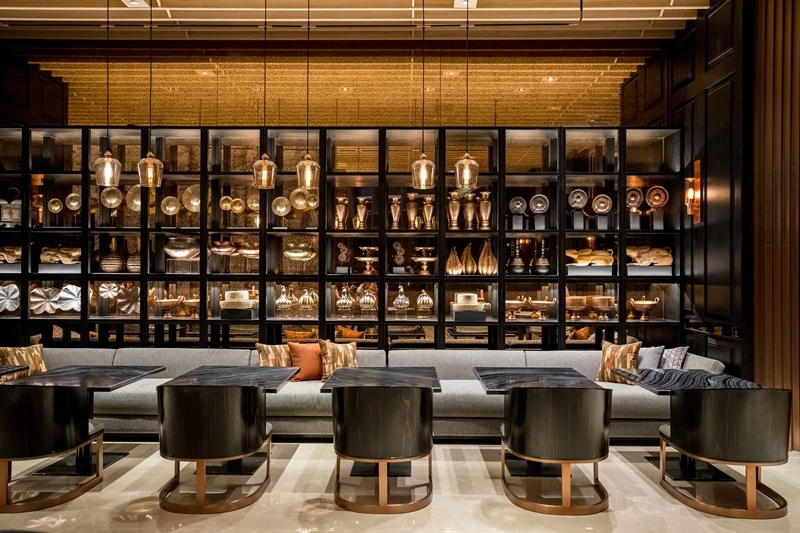 Market Café has just opened at the Hyatt Regency Bangkok Sukhumvit, inspired by the Nana area of Bangkok’s history as an international trading and meeting center. 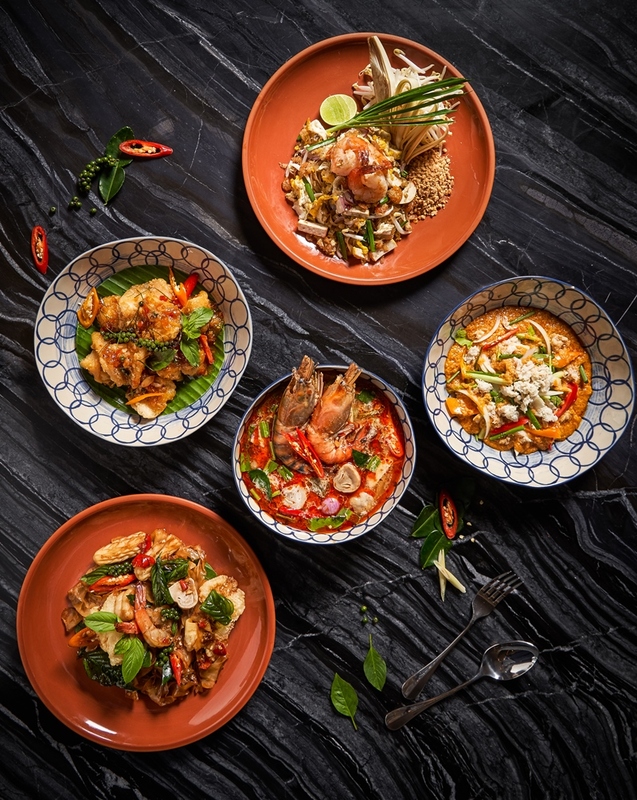 The café features a menu of authentic Thai cuisine with bold spices and vibrant flavours, crafted by chefs who are well-versed in local tastes. The all-day buffet provides a great blend of cuisine that can be found around Bangkok. Customary Thai dishes such as noodles, Khao Niew Moo Ping, which is grilled pork with sticky rice, and northern Thai sausage are served in the buffet as some traditional options. 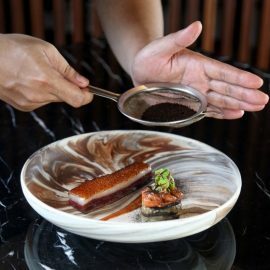 To stay true to Thai flavours, spice levels aren’t adjusted. Be hyper aware of what you decide to taste if sensitive to spicy foods! International cuisines are also represented at this buffet with Japanese curry, miso soup as well as Indian sambar, aloo paratha, naan and crunchy samosas are set alongside Western options with an egg station, pancakes, and fresh baked goods available. 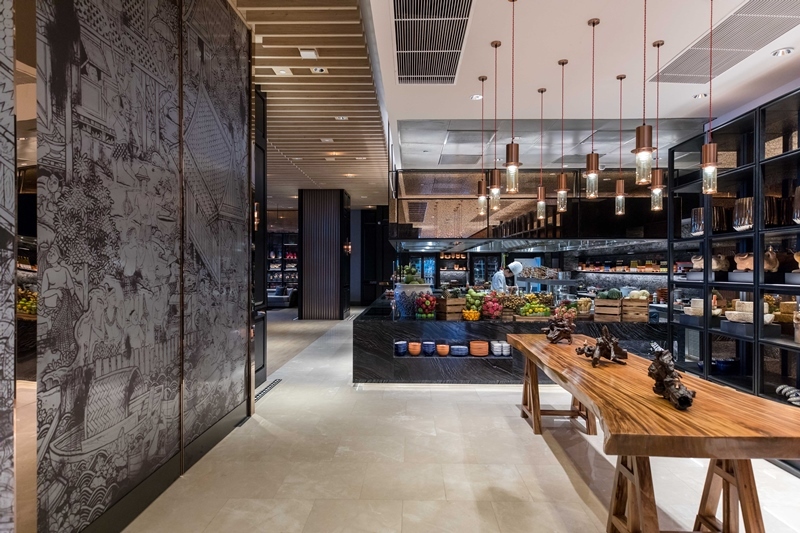 The interior of the restaurant is clearly inspired by a Thai marketplace. Reminiscent of a traditional floating Thai marketplace, large floor to ceiling panels are painted with customary tangible necessities of the typical person in Thailand.